Jake Perryman in Environment on 17 November, 2014. 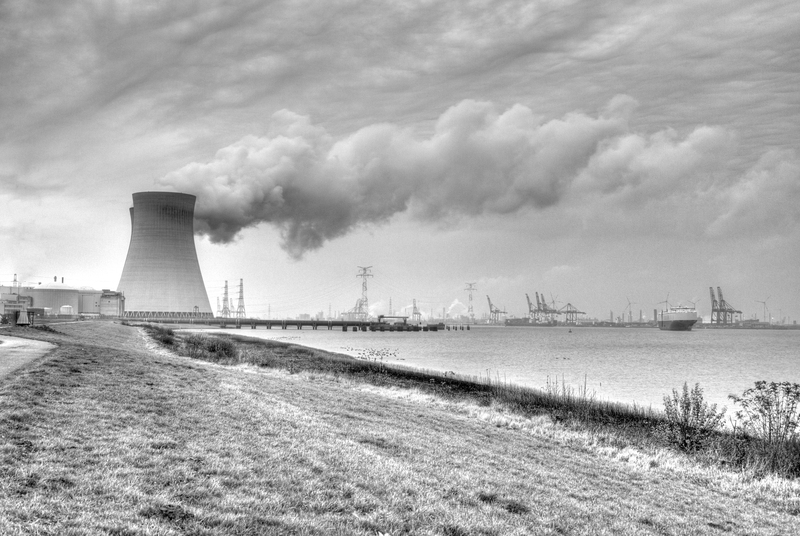 Could nuclear power be the energy of the future? Jake Perryman summarises Trevelyan College Debating Society’s recent debate about the future of the UK’s energy supply, and asks whether the solution can be found in the use of nuclear power. The debate was held on Sunday 2 November at Kenworthy Hall, St. Mary’s College. Thanks to Victoria Davies, Society Secretary, for minuting the debate. Ben Jones, the first speaker for the proposition, kicked the debate off with the question: What happens when the lights go out? The answer: Britain in chaos. Jones asserted that currently, the UK’s distribution of energy dependency is made up of 20% nuclear, 40% unsustainable coal, 20% renewable, and 20% from other sources. He then explained to the house that unlike other methods of energy production that rely on the weather, such as wind and solar energy, nuclear plants are active 90% of time, making them a far more reliable solution to our problems. Jones cited the current risk of political instability in the Middle East and Russia as adversely affecting the certainty that the UK can continue to receive the current supply of fossil fuels that it relies on. He compared this to the relatively sound political relationships with the world’s current main exporters of uranium (the necessary component in nuclear power production) – Australia and Canada. Jones’ point that nuclear energy produces minimal emissions was well received by the audience and rounded off his advocacy of it as a sustainable answer to our future problems. Rachael Smith confidently gave the first retort for the opposition. Her speech focused heavily on the human cost of nuclear power. She narrated many examples of where nuclear power production had gone very wrong in the past. Smith detailed the events that took place at Three Mile Island, Chernobyl, Fukushima, and other disasters that put human lives in danger; both at the immediate instance of the incident, and for generations afterwards, due to the long term effects of radiation on those exposed. Smith’s emotive speech really brought the fears of potential physical danger and health risks to the forefront of the audience’s minds, epitomised by her citing of a recent report that there have been 985,000 direct and indirect deaths in relation to Chernobyl – showing the awful potential of a nuclear disaster. Alex Brown spoke next for the proposition. Brown began by reassuring the audience that incidents like Chernobyl wouldn’t happen again due to the significant advances in protective and safety procedures. Brown went as far as reusing the example of the Fukushima disaster, but proclaiming it to be a success of modern engineering due to the safety procedures in place, brazenly stating that great progress is evident from the fact that there was an earthquake and a tsunami at a nuclear power-plant, but no one died. Brown compared this to the many that continue to die as a result of incidents at coal power plants as well as the health effects caused by emissions from such plants. However, Brown failed to address the point that other renewable energy sources present even less of a human cost. Furthermore, when he asserted that the waste left by nuclear power plants was minimal in comparative physical size to other methods, he was left flailing by a well timed and piercing interjection from second opposition speaker Aman Gupta who reminded the house, and Brown, that small though it might be, it is incredibly radioactive. The audience were not convinced by Brown’s proposal that the solution to this was to bury it deep below the ground in mineshafts or the bottom of the sea – a literal burial and ignoring of our future problems. The final speech from the opposition came from Aman Gupta, whose calm and collected composure seemed to have the audience on board from the off. His speech centred on the potential that renewables have to offer. Gupta pointed out that such potential has been clearly recognised by the private sector, which has invested over £31bn in renewables, creating 35,000 jobs already. Gupta mentioned case studies of renewable projects such as the ‘Tidal Lagoon’ project in Swansea. A comment from the floor pointed out that this project in particular has been on the books since the 1960s and asked how this can be seen as progress. However, Gupta swiftly replied with the assertion that progress in renewables has been accelerating as we become more technologically advanced, using the 21st century mass production of solar panels as an illustration of this. The summary speeches provided a thorough overview of the debate. On the one hand, the house had heard fears of what would happen when the current methods of using fossil fuels to generate energy ran out, and the offer of sustainable nuclear power to make up for the deficit – something renewable energy sources have thus far proved incapable of doing. On the other, there was the worry of what risks a radioactive Britain could bring and whether they were necessary ones to take given the promise that renewables have shown for our future. Despite the contention throughout, the conclusion of the house was a strikingly unanimous vote in favour of the motion that nuclear power was indeed the way forward. It is worth noting that the votes are based not just on the arguments presented but also the performance and presentation of the arguments by the individuals. Therefore the decision made was far from the definitive answer to our future energy problems, but some very pertinent points were made on a topic that becomes increasingly more relevant as time goes on, and will hopefully prompt further thought and debate on the issue. The Trevelyan College Debating Society is a college society ratified in the summer term of 2014 and continues to run regular workshops and debates on all manner of pressing issues. For more information contact founding President, Jake Perryman- j.b.perryman@durham.ac.uk.